DOLLS magazine covers all facets of the collectible doll industry … from high-end artist works to popular manufacturer pieces, fashion dolls, ball-jointed dolls and more. The discerning doll collector will delight in the relevant, in-depth information and beautiful images its pages offer. Additionally, DOLLS readers enjoy access to dynamic Web offerings: videos, expert doll identification, archived articles, podcasts, a community for doll aficionados, blogs, contests and more. 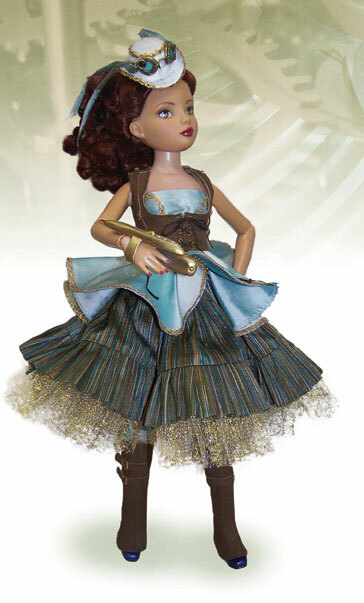 DOLLS is the collectible doll industry’s No. 1 resource. For adults who collect dolls…from high-end artist works to popular manufacturer pieces, fashion dolls, ball-jointed dolls and more. The discerning doll collector will delight in the relevant, in-depth information and beautiful images its pages offer. Additionally, DOLLS readers enjoy access to dynamic web offerings, expert doll identification, archived articles, a community for doll aficionados, contests and more. DOLLS is the collectible doll industry’s No. 1 resource. DOLLS magazine is produced by JP Media LLC, a publisher based in Iola, Wisconsin. You can learn more about us, and Contact Us, on our corporate website at www.jpmediallc.com.